Our everyday perceptions of others can potentially be biased by cultural stereotypes. However, research has suggested that an initial, and often negative, stereotype can be downregulated via a highly connected neural network. 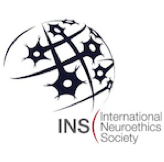 While this regulatory process has been studied under neutral conditions, for the third journal club of the semester Neuroscience graduate student Kim Lang led a discussion about regulation of this neural network when White individuals are not under neutral conditions, but actually primed for negative African American stereotyping. A recent paper published by Forbes et al. used functional magnetic resonance imaging (fMRI) to study the amygdala, the prefrontal cortex (PFC), and the orbitofrontal cortex (OFC), three highly interconnected brain regions important for stereotyping and bias. Studies have shown that the amygdala, involved in arousal, is activated immediately when encountering a so-called out-group member. This first response can be downregulated though if an individual is given time for non-biased deliberation, and this is reflected by activation in the PFC. The OFC is the regulator of these two neural regions, especially if initial negative stereotyping is in conflict with an egalitarian view. Prior research has shown this amygdala inhibition by the lateral PFC region with an experiment where White participants were shown Black faces in either rapid succession (30 ms) or at a slower rate (525 ms). When participants did not have time to reflect on the faces during the fast exposure speeds, enhanced amygdala activation was observed reflecting the early arousing response. During the slow exposure time condition though, amygdala activity was not enhanced. Instead, increased activity was observed in the dorsolateral prefrontal cortex (DLPFC), which correlates with decreased amygdala activation (Cunningham et al.). This study suggests that if given enough time, a biased view reflected in the activation of the amygdala, can be reconsidered. The authors of the paper for journal club discussion (Forbes et al.) took this previous experiment further and studied the activation of the amygdala when White participants were exposed to Black faces at either 30 ms or 525 ms in the presence of violent and misogynistic rap (VMR) to create a situation that is primed for negative African American stereotyping. While evidence shows that individuals are able to downregulate the initial arousal and response to stereotypes, researchers hypothesized that if stereotypical or suggestive music were playing, then individuals would be less likely to downregulate the response even if given ample time to consider the situation. In other words, during the slow showing of Black faces in the presence of VMR, White participants would show a prolonged amygdala response instead of a downregulation. “Straight Outta Compton” by NWA was rated high by participants and chosen as the song to represent Black American stereotyping in the study. To prime for negative stereotyping, but not African American stereotyping, participants were also asked to rate a death metal (DM) song, since this genre of music is typically associated with White American culture. “Only One” by Slipknot was chosen based on a similarity in tempo and violent references to “Straight Outta Compton.” Participants were then shown expressionless Black and White male faces at either the fast (30 ms) or the slow (525 ms) rate while listening to VMR, DM, or no music (NM) while the fMRI scans were completed. After the scanning, participants were asked general questions regarding their feelings toward the song, whether they owned any of the songs (no participants did), and how they rated themselves on the Modern Racism Scale3 and the Motivation to Respond Without Prejudice Scale4. Based on the responses to the two rating systems, participants reported being non-prejudiced and motivated to regulate their biases, and the fMRI scans of the amygdala during the slow scan with NM reflected this. Consistent with previous work (Cunningham et al. ), when participants were exposed to the faces at the fast rate, amygdala activation was observed and during the slow speed, OFC and DLPFC activation was recorded. When participants were exposed to Black and White faces at the fast speed in the presence of DM, no activation at the amygdala, OFC, or the DLPFC was observed. Similar to NM, at the slow speed during DM, activation of the OFC and DLPFC regions was still greater when seeing the Black faces compared to White faces, suggesting that participants were still engaging in a deeper processing of the Black faces. The focus of the hypothesis was the activation of brain regions in participants when VMR was playing. As predicted, when Black faces were displayed during the fast exposure, greater amygdala activation was observed compared to White faces. During the slow speed, participants still showed higher amygdala activity when seeing Black faces compared to White faces, but also increased OFC and DLPFC activation. 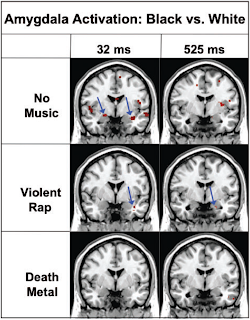 When comparing results across the two types of music and the context with no music, greater amygdala activation was seen during the fast and slow exposures for VMR than for NM and DM. As expected, greater DLPFC activity was seen for the fast and slow exposures for NM and DM compared to VMR. Interestingly, when exposed to the fast speed, greater OFC activation was seen for VMR compared to NM and DM. However, during the slow speed exposure, the opposite was observed, and greater OFC activity was seen for NM and DM compared to VMR. These findings suggest that not only is there a continuum of neural processing during slow and fast social cognitive assessments, but the lack of downregulation in the amygdala during the fast and slow speed exposure for VMR is evidence that although White individuals can control an initial, arousing reaction to a Black individual in a neutral context, this is more difficult when the situation lends itself to negative stereotyping. The authors offer two possible interpretations for this lack of downregulation in the VMR scenario. Either exposure to the VMR causes a prolonged amygdala response that is cognitively taxing on other neural regions, making it difficult to control a response or the VMR justifies the initial response and reinforces that stereotype. Whether a situation that is primed for negative stereotyping makes deliberation more cognitively taxing or justifies an initial stereotype, brain activation isn’t predictive for behavioral responses since similar activation patterns in individuals do not always give rise to similar behaviors. Although this study was more representative of everyday circumstances than the previous study with neutral conditions, it would be interesting to measure the neural activity of individuals when encountering situations that prime for negative stereotypes. Even if there is typically a lack of amygdala downregulation, does this mean that individuals still behaviorally restrain themselves? A second experiment that was discussed during journal club as a potential follow-up to this paper would be to repeat the fast and slow exposures of Black faces during the three different musical contexts, but with Black participants instead of White participants. “Straight Outta Compton” is not subtle, but instead overtly violent and misogynistic, and it could be that people of all races would have an arousing response in the amygdala that would be difficult to regulate strictly due to the nature of the lyrics – not because the song stereotypes African American culture. Of course it is a matter of opinion whether “Only One” really mimics “Straight Outta Compton,” or whether “Straight Outta Compton” is truly violent and misogynistic, so the experiments could be repeated with more and different songs to help confirm the hypothesis that “when something as subtle as a rap song is played in the background,” White individuals negatively stereotype Black Americans (Forbes et al.). More research will most likely be done in the future, but these results do have larger implications to consider for society today. Knowing that even in tolerant individuals with an egalitarian viewpoint the amygdala is activated and can be difficult to downregulate, does this mean that neural activation would justify racial violence, especially in a court case? Should defense attorneys ever be able to claim that this activity in a context that primes for negative stereotyping is a valid defense for a violent or egregious crime against an out-group member? As neuroscience research becomes more sophisticated, more debates will follow about where we draw the line for allowing scientific research as evidence in the courtroom and when we must hold the individual solely responsible. In the meantime, hopefully when encountering an out-group member, we will consider that negative stereotypical contexts may prime us for negative stereotyping due to a complex neural interaction that is somewhat out of our control. If we are conscious that we have difficulties mediating initial responses, perhaps more conscious tolerance and reflection could follow a circumstance where an initial judgment seems justified based on contextual cues. Forbes, C.E., Cox, C.L., Schmader, T., Ryan, L. (2011). Negative stereotype activation alters interaction between neural correlates of arousal, inhibition and cognitive control. Social Cognitive and Affective Neuroscience, 7, 771. Cunningham, W.A., Johnson, M.K., Raye, C.L., Gatenby, J.C., Gore, J.C., Banaji, M.R. (2004). Separable neural components in the processing of Black and White faces. Psychological Science, 15, 806–13. McConahay, J.B. (1986). 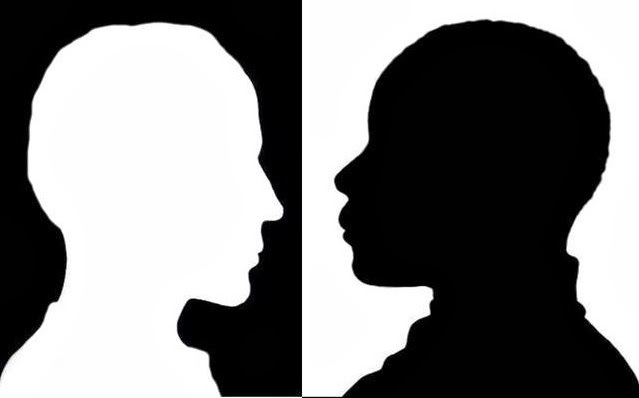 Modern racism, ambivalence, and the modern racism scale. In: Dovidio, J.F., Gaertner, S.L., editors. Prejudice, Discrimination, and Racism (pp. 91–125). Orlando, FL: Academic Press. Plant, E.A., Devine, P.G. (1998). Internal and external motivation to respond without prejudice. Journal of Personality and Social Psychology, 75, 811–32. What does "given time for non-biased deliberation" mean? Is this a conscious activity, i.e. something we can do in half a second? Also, is 30 ms a valid analog for real life situations? This priming method is quite interesting. I love how they did this (not sure I agree with it though). It would be interesting to look at these results (and parameters) in comparison to Dr. Banaji's Implicit Association Tests (you can find them online). Roughly summarizing, she's found that every racial group has an implicit preference for their own racial group except for African Americans (who prefer other races to themselves). This is interesting in light of your second to last paragraph. Dr. Banaji made a really good point in a lecture that these implicit preference tests don't indicate "you are racist", making the point that even African Americans have these implicit biases. Do you think that would nullify use in the courtroom? Very interesting article. Thanks for doing a write-up. Please delete/ignore earlier comment. Replying to this one will email me responses. Thanks.